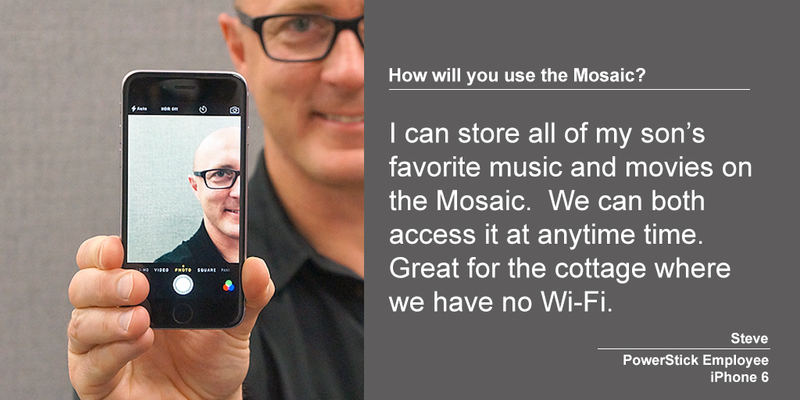 SAVE: Store media and files on the Mosaic and access them wirelessly from your phone or tablet through the mobile app. SHARE: Allow others access to your Mosaic to listen to your music or stream content on their own devices. 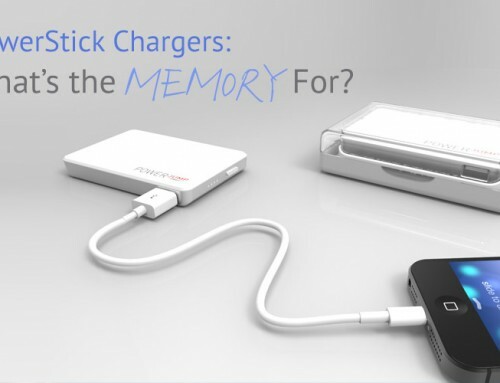 CHARGE: The Mosaic is also a back-up phone charger, with a 4500 mAh battery. 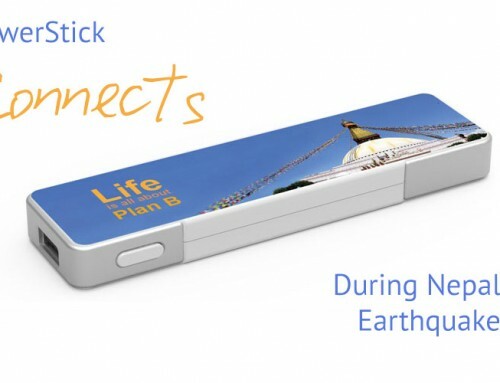 Meet a few members of the PowerStick team and find out how they plan to use the new Mosaic. Tyler loves his tech gadgets and really appreciates when technology can help streamline and organize things. 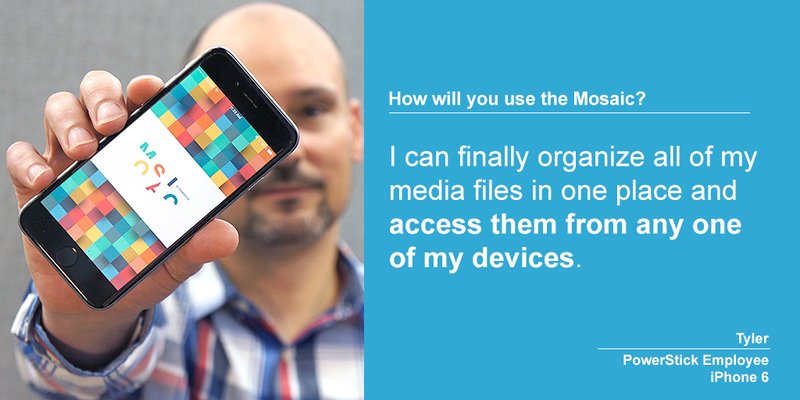 He can load the Mosaic with tons of media and files that can be accessed wirelessly from any one of his devices. Stacey is originally from England. 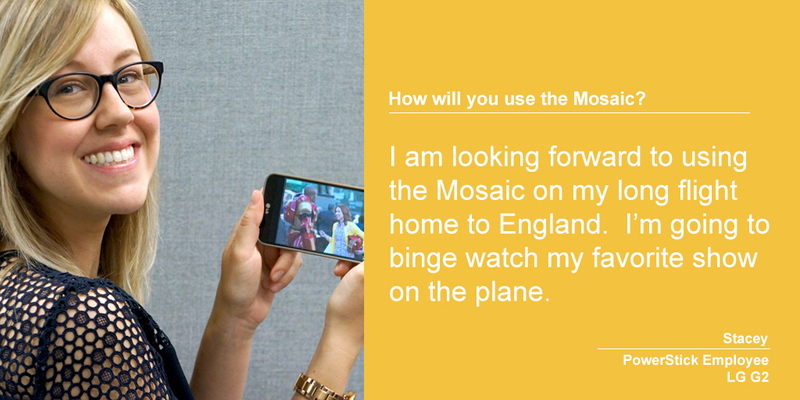 She is planning a trip home this summer and is especially anxious to use the Mosaic while travelling. 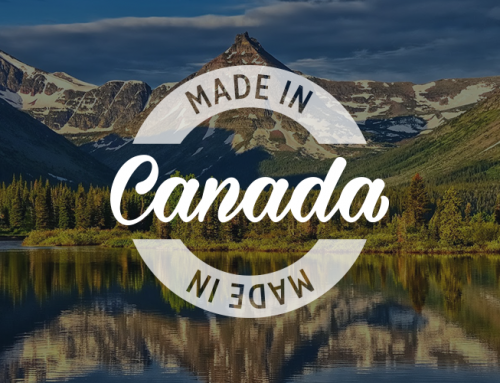 Ottawa to London is a long flight, so Stacey plans to load the Mosaic with her favorite content and watch it from her phone while on the plane. Since the Mosaic generates it’s own direct Wi-Fi signal, it can be safely used during the flight. Will is our head designer. He has designed the Mosaic to be a portable and powerful tool. 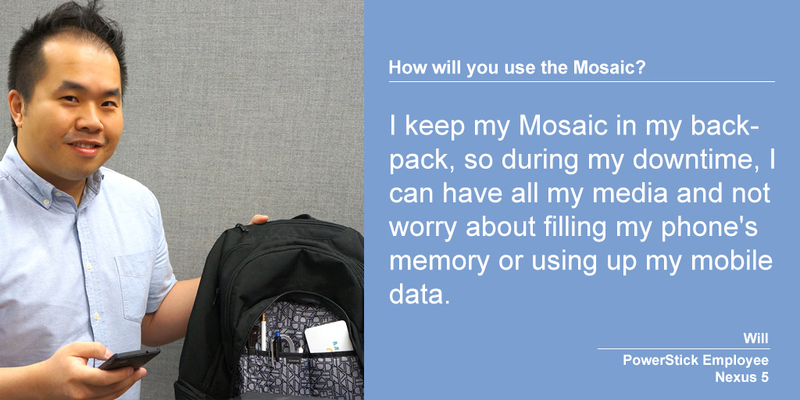 Is it a coincidence the Mosaic fits perfectly in his backpack pocket? Chloe is recently back from a trip to Europe. She told us how useful this product would have been during her travels. The flight entertainment system can be less then entertaining. For her next trip she will load the Mosaic with her own content to watch when and where she wants to. The Mosaic generates its own Wi-Fi signal so no need to worry about roaming charges. So many photos….so many photos to manage. 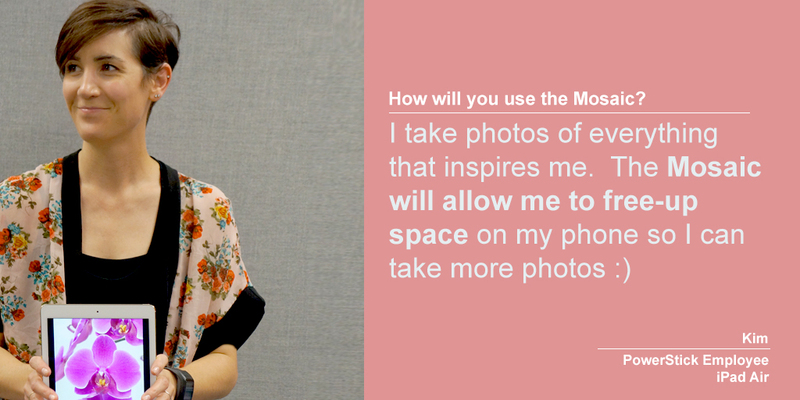 Kim is excited to use the Mosaic to help with her growing photo collection. She can keep some of her photos on the Mosaic to free up valuable space on her phone and iPad. The photos stored on the Mosaic can be easily accessed at anytime. Anytime! 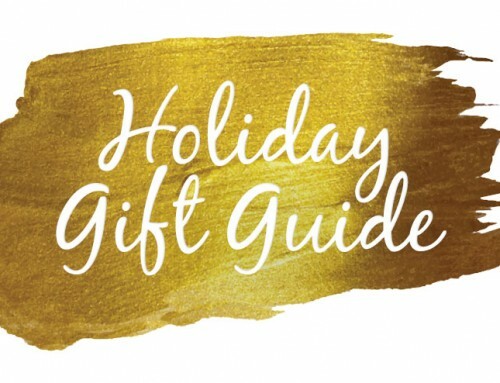 including when there is no internet access. Steve is looking forward to heading to the cottage this summer and filling the Mosaic with music. 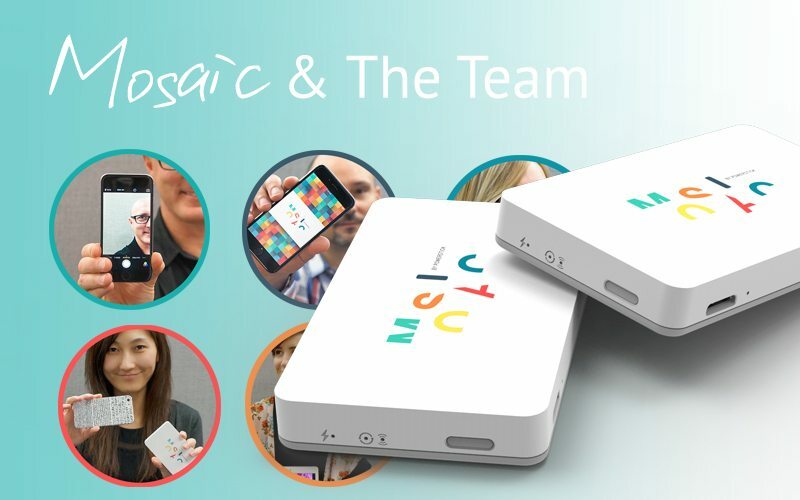 The Mosaic can stream content for up to 8 hours. The whole family can share access and listen to whatever they want. 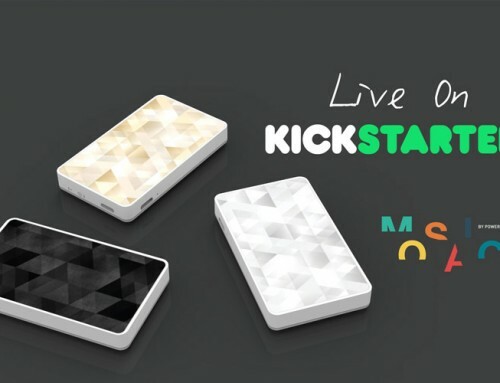 Stay Tuned for our Upcoming Kickstarter Launch!